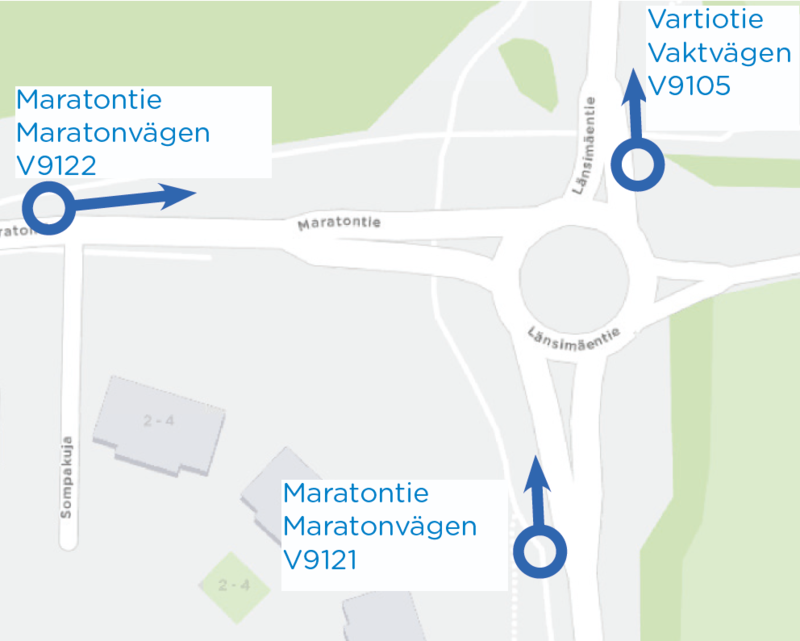 The "Maratontie" (V9121 and V9122) and "Vartiotie" (V9105) bus stops located at the junction of Maratontie and Länsimäentie will be relocated on Wednesday 21 Novmber. The temporary bus stops will be closed. The change affects buses 95N, 562/N, 572/K, 587, 588/B and 811/K.